The explosive cawing of seagulls jolted her heart into overdrive. 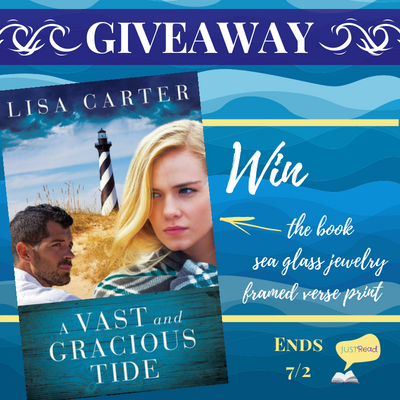 At the edge of the beach, she spun around on the deck of her boat. A gaggle of birds darted upward, their cries echoing on the wind, warning of danger. Of predators. McKenna Dockery clutched her camera, pressing it against her chest. She went still to identify the source of the misplaced noise that had almost sounded like gunfire. The island was narrow at this end, but on the other side of the dunes all was quiet, except for the relentless, pounding waves of the Atlantic rolling onto the shore. Over the weekend, a tropical storm had battered the Outer Banks. Now the desolate yet wildly beautiful Yaupon was a treasure trove of sea glass. But no one except her ever ventured to Yaupon Island anymore, and it’d been a while since she visited. 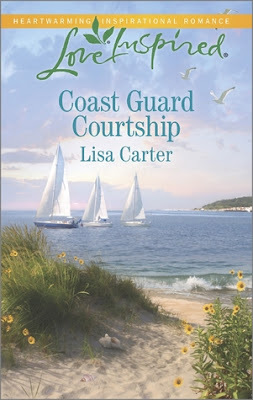 This is a sweet romance between a stalward coast guard officer and feisty fisher woman. Both are emotionally vulnerable and put up walls to protect themselves. 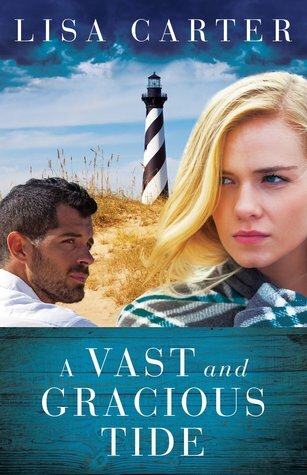 I was surprised by how quickly Braedon falls for Amelia, and most of the book he is working to bring down her walls. The dialogue between them was a bit disjointed throughout the book, I wasn't used to the author's style of writing conversation. They had a propensity to misunderstand each other which created much of the conflict. The setting was very much a part of the story, and I loved the descriptions of the coastal town and ocean. Come along on a romantic journey jam-packed with all the angst of marriages founded upon practical choices as well as coercion. Meet nine couples who barely know each other before they find themselves suddenly married—to please family, to stem the tide of gossip, to save the land—and joined for life. But can love grow when duty comes before romance? 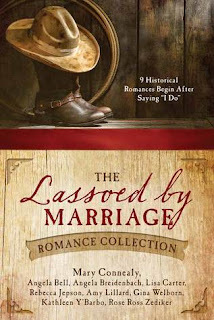 Marriage of convenience is one of my favorite fiction themes, and here is a fabulous historical collection chock full of them! All the stories had vibrant characters with great chemistry, realistic settings, and well-rounded plots that wrap up nicely for the length of a novella. The majority I would rate 5 stars, a few would be 4 stars. My favorite was "The Sweetwater Bride" by Mary Connealy, focusing on Tanner, the son of Silas and Belle from her earlier book The Husband Tree. He is scouting his land in the harsh mountains and discovers Debba McClain, living alone on her family's hidden ranch, forgotten and completely isolated from society for five years. His protective instincts immediately creates a bond which takes a romantic turn as they get to know each others strengths and their attraction develops. Unfortunately, Tanner comes up with a creative way to get her off her land to meet his family, which puts him in hot water not only with Debba but also his mother when she finds out his methods. I highly recommend this collection and will definitely be reading it again. 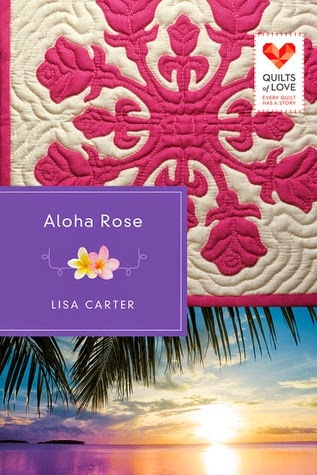 When Laney Carrigan sets out to find her birth family, her only clue is the Hawaiian quilt a red rose snowflake appliqued on a white background in which she was found wrapped as an infant. Centering her search on the Big Island and battling fears of rejection, Laney begins a painstaking journey toward her true heritage. Kai Barnes, however, is determined to protect the people he s come to regard as family. He thinks Laney is nothing more than a gold digger and blocks every move she makes toward her Hawaiian family. As their conflict escalates, it puts at risk the one thing that Kai and Laney both want most a family. I had a hard time staying interested in this one. The two main characters had no chemistry, instead treating each other with contempt and squabbling like siblings. The dialogue was disjointed and didn't flow. It seemed like physical attraction is the main thing that contributed to their relationship. The "mystery" of Laney's birth family was revealed in a quick and confusing manner at the beginning of the book, so as I read, there wasn't really a continuing plot to keep me invested. I liked the setting of the novel and the descriptions of the scenery were beautiful, but the Hawaiian words the characters used were often not easily understood or explained.